After graduating from the University of Augsburg with a PhD in 1993, Michael Trautmann became a manager at Bossard Consultants. 1997 saw him assume a position on the Executive Board at ad agency Springer & Jacoby where, in 2000, he became a founding partner of Springer & Jacoby International and a member of the holding company’s Board. From 2002 to 2004, Michael Trautmann joined Audi in Ingolstadt as Global Head of Marketing. Then, in July 2004, he joined forces with André Kemper to establish the agency kempertrautmann gmbh, which underwent a rebranding in August 2012 to become trautmann, heumann, jochum und kemper ag – in short, thjnk. Michael Trautmann sits on the agency’s Executive Board alongside Karen Heumann and Armin Jochum. thjnk ag employs 200 people across its three offices in Berlin, Düsseldorf and Hamburg – and clients include brands like Audi, IKEA, Henkel and Paulaner. André Kemper and Michael Trautmann were named Agency Men of the Year 2007. In 2009, kempertrautmann received the Global Newcomer Agency of the Year award. Michael Trautmann is a team member and business angel for the not-for-profit initiative dotHIV, which has been working towards establishing the top-level domain “.hiv” since 2010. This is the world’s first top-level domain with an exclusively social mission: to bring the red ribbon into the digital age. 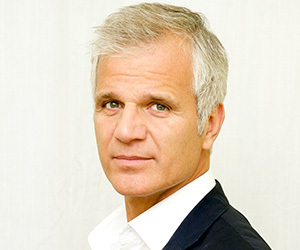 In 2013, Michael Trautmann was elected Vice President of GWA, the Gesamtverband der deutschen Werbeagenturen (Association of German Advertising Agencies).